Every Makita product is thoroughly inspected before they leave the factory and can be guaranteed to be free of defects, in both workmanship and materials, for a period of one year beginning the date of the products original purchase. The warranty period of your Makita tool may be extended to an additional 2 years. 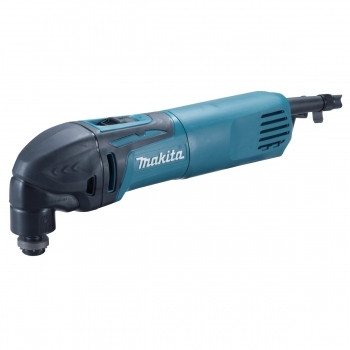 The Makita TM3000C is an oscillating multitool capable of sanding, scraping, cutting, sawing, grinding, polishing and more. It is a really versatile tool which benefits from having literally hundreds of attachments to choose from because of the OIS accessory system it uses.